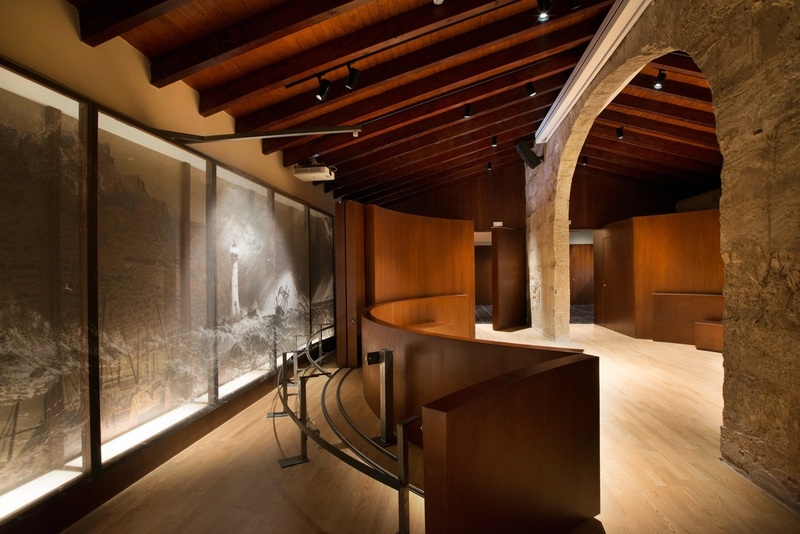 This space is dedicated to the dissemination of the figure and work of Antoni Maria Alcover, author of the Diccionari català-valencià-balear and the linguist who recovered and transcribed the popular legends, or rondalles, of the Balearic Islands. 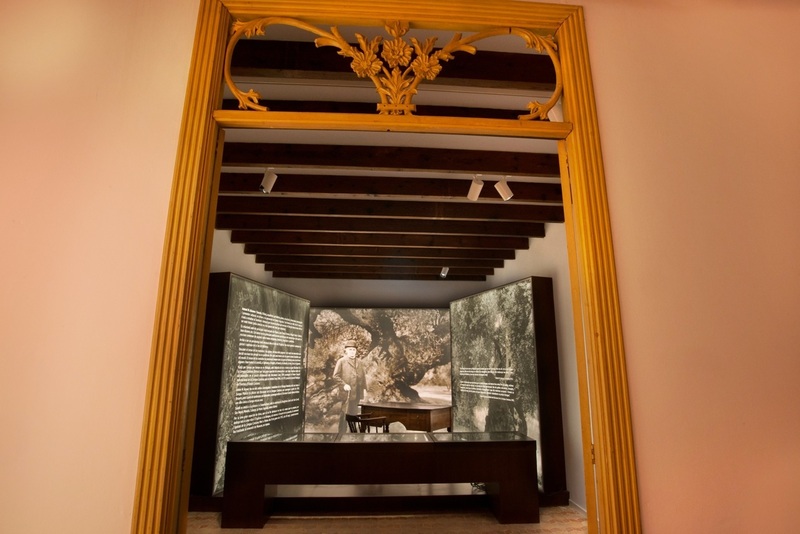 Antoni Maria Alcover was a priest, writer, and Majorcan linguist who did immense work to recover oral histories of folklore as well as words and linguistic structures characteristic of Catalan-speaking areas. The space was divided across two floors. 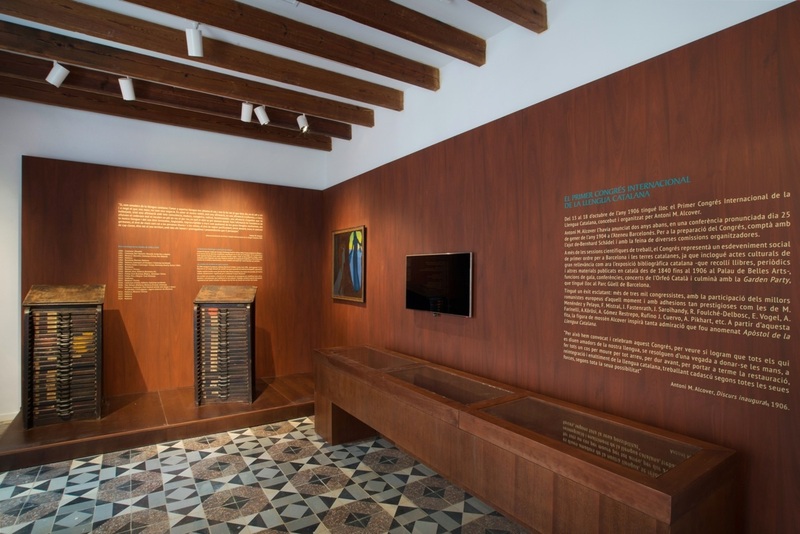 On the first floor, the path began and ended with a phonetic space, where 20 speakers played different sounds on either side, reproducing recovered words pronounced in different accents. 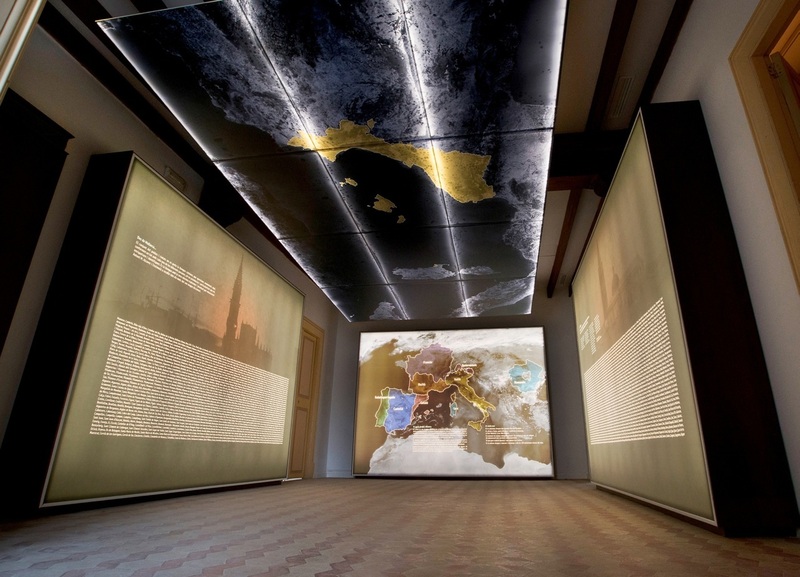 The idea was to immerse oneself in the language before learning about the story of Antoni Maria Alcover. 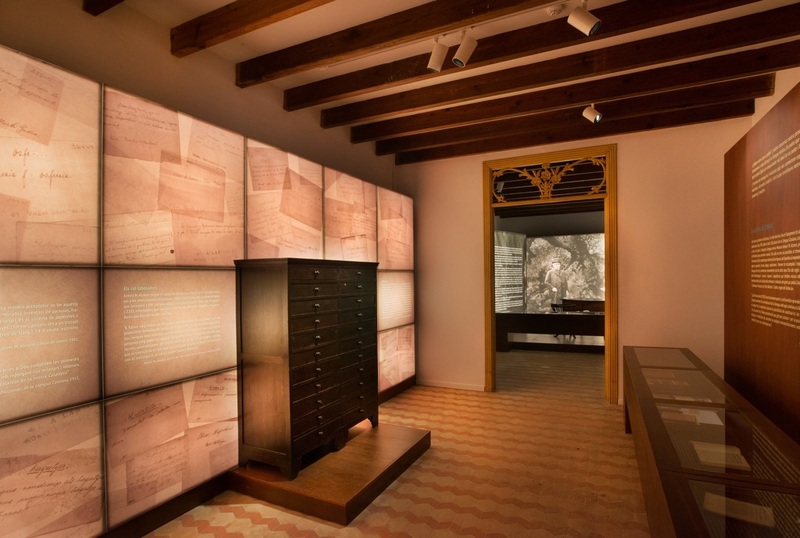 The next room was dedicated to the process of classifying all the words that made it possible to write the Diccionari català-valencià-balear. 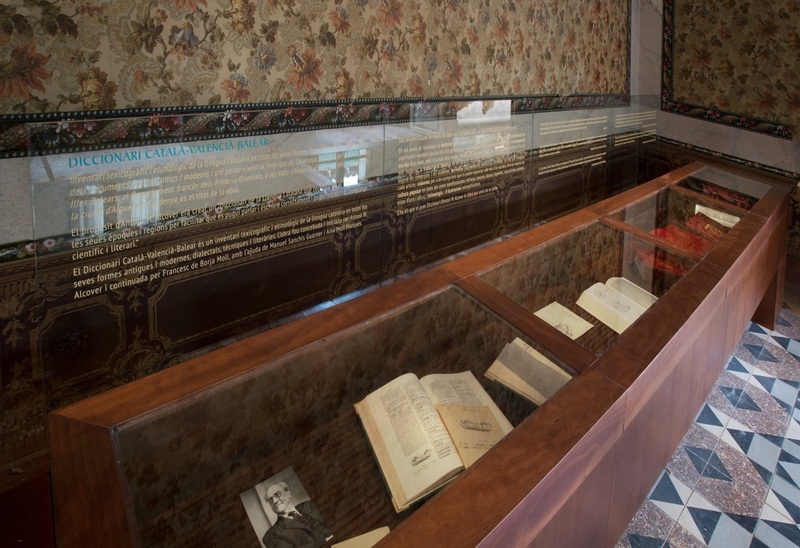 Here visitors can view original files, as well as the desk and chair that belonged to Alcover. 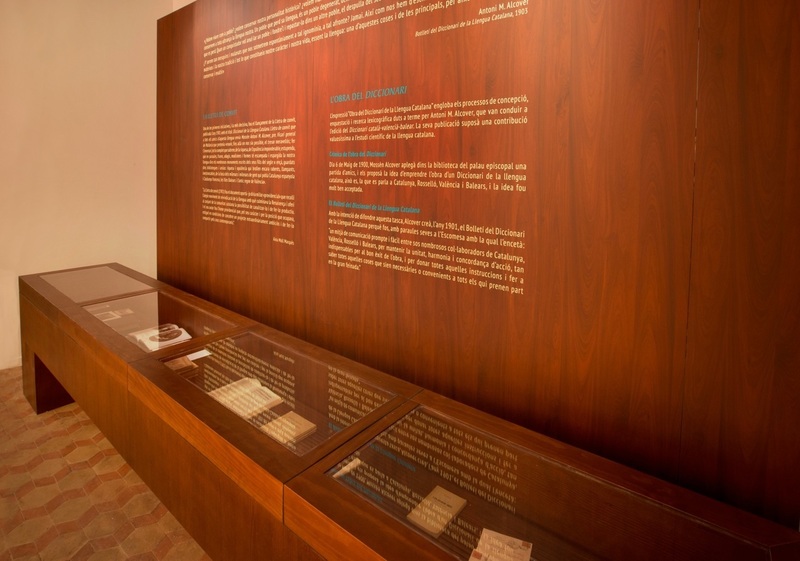 Finally, we find the dictionary in a showcase and we finish back in the phonetic room, yet now we aware of the value and importance of this linguistic heritage. On the top floor we find a magical room that has to do with reflection and the mirage. 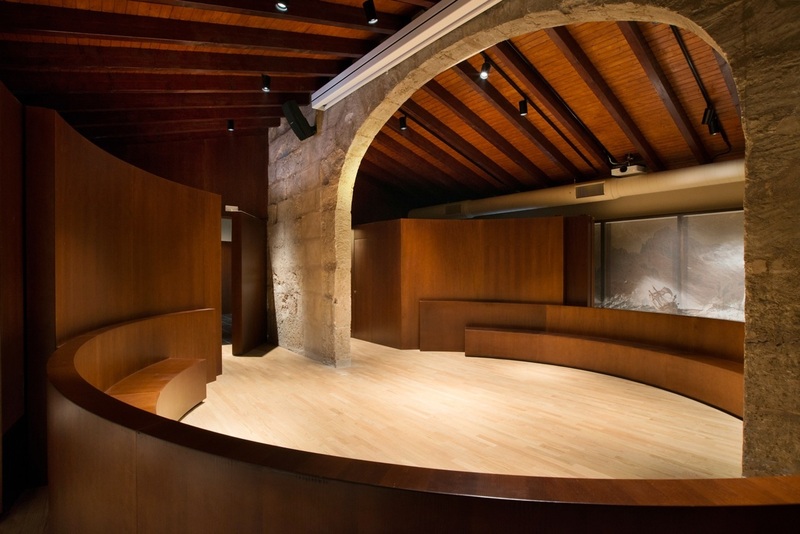 Its aim is to enhance the spatial quality of the building's attic. This room has a polished floor that creates reflections and mirrored walls that multiply the space in all directions. 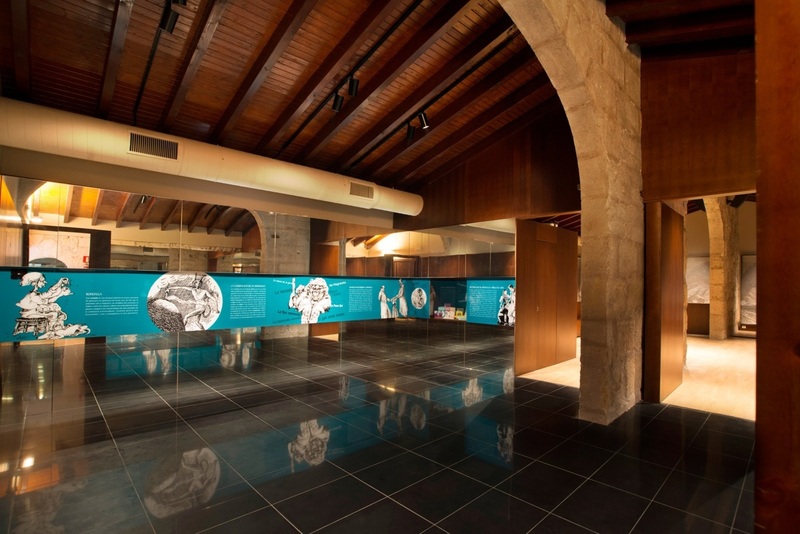 In the intermediate space of the walls, there is a frieze that talks about European folktales and how, through oral tradition, these stories featuring universal and timeless characters were transformed and integrated into the folktales of the Balearic Islands or rondalles mallorquines. Finally we pass through a double door to a duplicated room, two semicircles divided by a screen where an audio-visual display is projected. 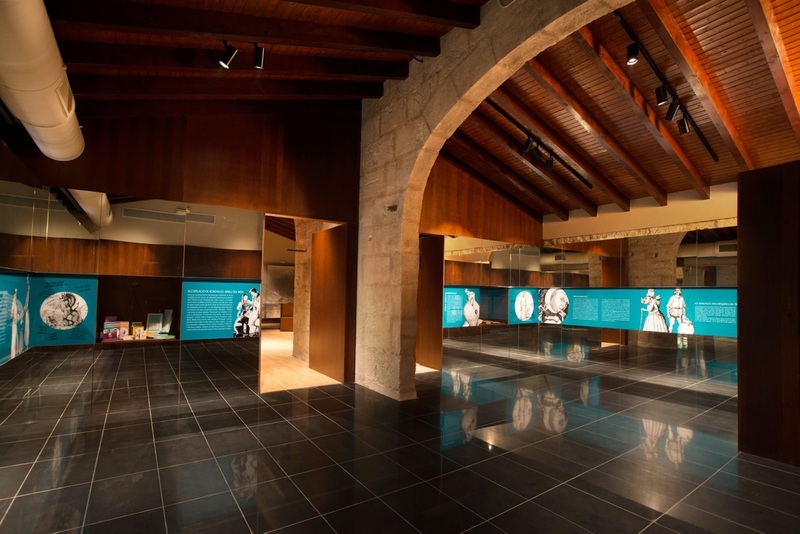 At the end of the piece, the screens disappear and the room seems different, symmetrical like a mirror image, and the curved walls that surround the room slide back to reveal a landscape printed on tulle that lights up depicting the sea, a lighthouse, and an engraving of the coastline of Mallorca, seen through the eyes of legend. 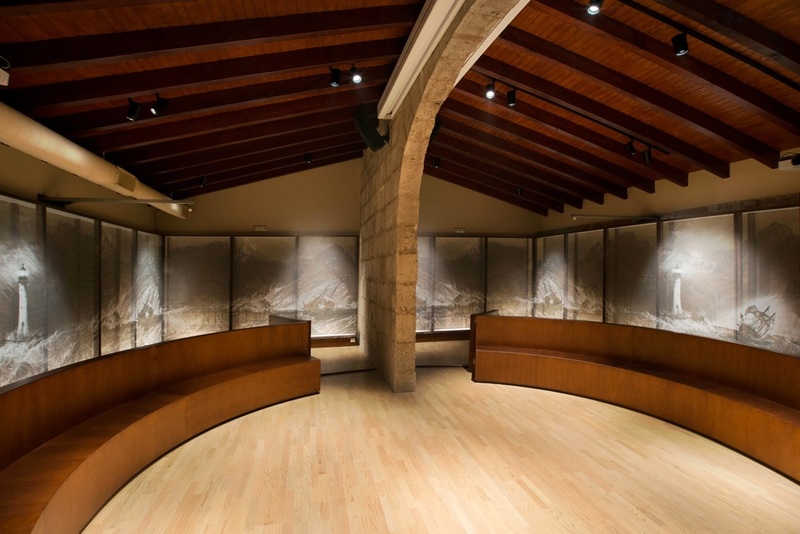 The room becomes a storytelling space, where an interpreter can recite the classic rondalles to visitors.